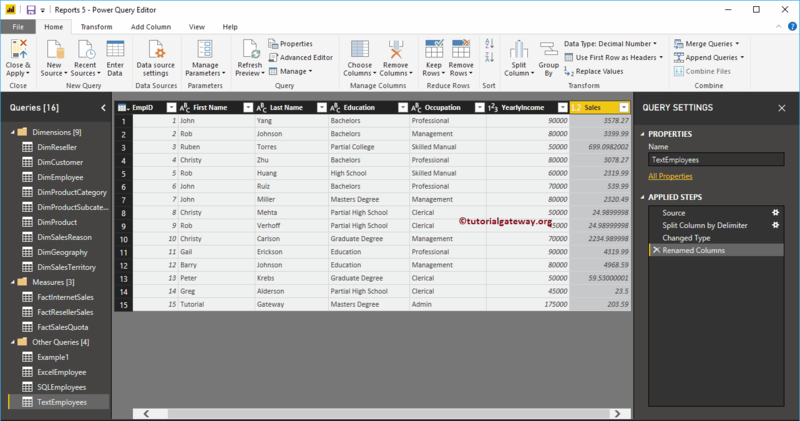 Generally, when you load the data from a data source, you get the column names that are available in a data source. While you are designing the report, you might need names that are more meaningful. 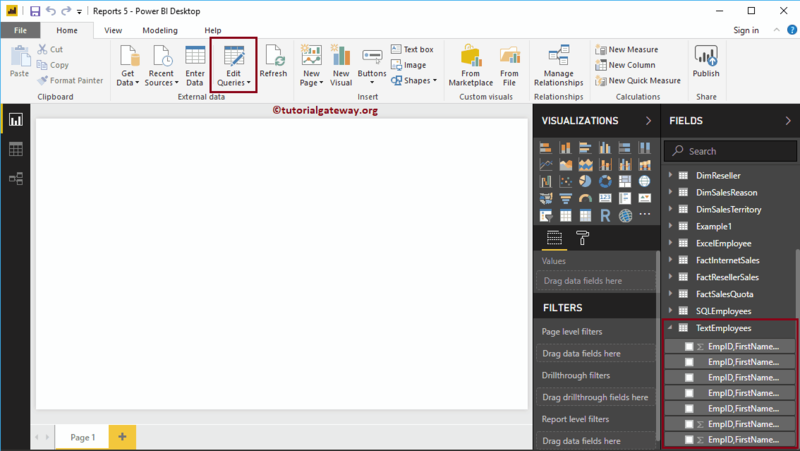 In these situations, you can use Power BI rename column option. 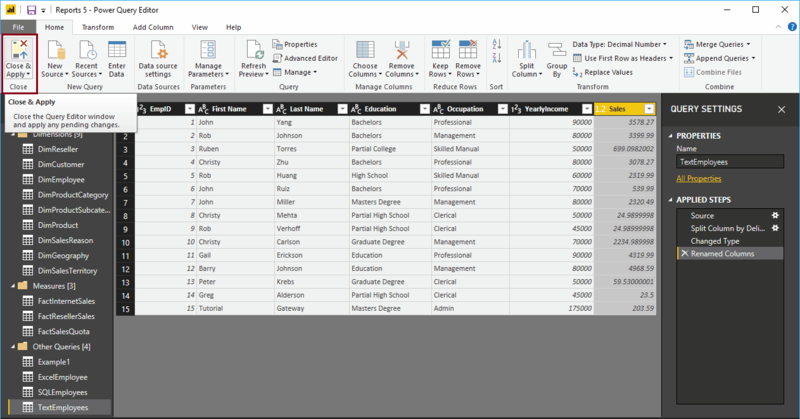 In this article will show you, How to Rename Column Names in Power BI Desktop with an example. 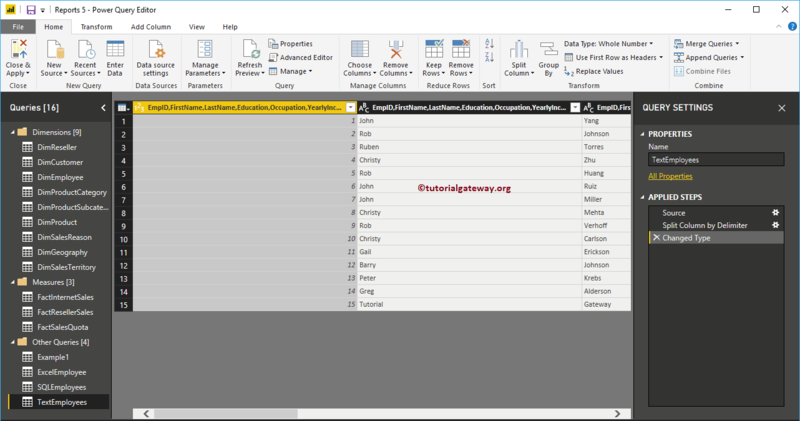 To demonstrate this rename columns option, we are going to use the Text Employee table that we imported in Enter Data, and altered in split column article. 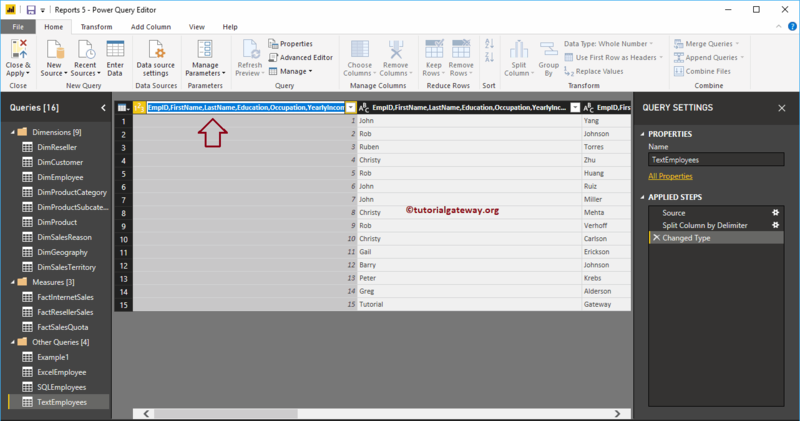 In order to rename the column names in an existing table, please click Edit Queries option under the Home tab. 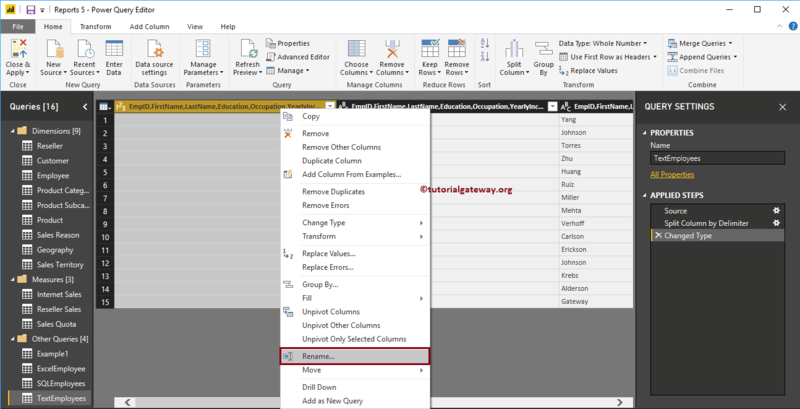 In order to rename the columns in a table, right-click on the column that you want to rename will open the context menu. Please select the Rename option. 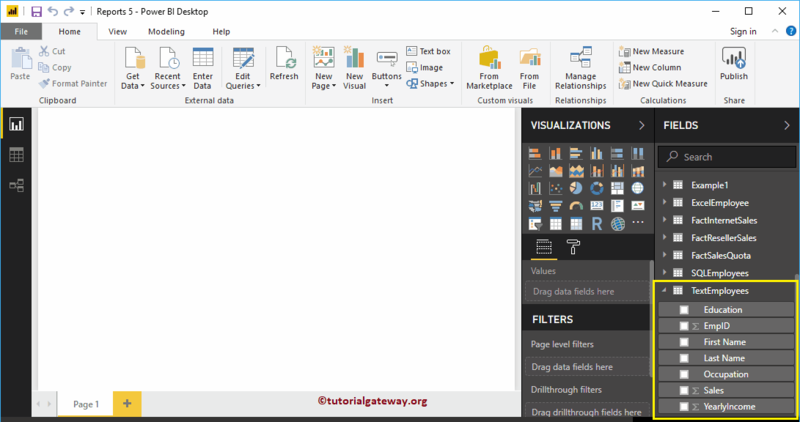 Alternatively, you can double-click on the column header. Whatever the changes you made here will not effect until you hit Apply. Let me hit Close & Apply option under the Home tab.